Whether you’re planning out an air conditioning installation for the summer or if you’ve already got heater replacement in mind for next year, you won’t get far in your research without running into the issue of ducted and ductless systems. One system isn’t necessarily worse or better than the other. Rather, it’s about what makes the most sense in your home. Keep reading and we’ll help explain which system makes sense for your needs. Ducts are the passages that transport heated or cooled air from the HVAC system to the home. They’re often made of sheet metal or flexible, coiled tubes wrapped in insulation. Often, a combination of both is used. In a ducted HVAC system, the ductwork is half of the system. The HVAC unit can make as much air as it wants, but without a duct system, it will have no way of dispersing that air through your home. You want whole-home heating and cooling at one cost. You already have a duct system in place (thus cutting down installation costs). You want easier maintenance year after year. You want to control the individual temperature of each room. You’re not fond of the fact that your ducts will require occasional maintenance and cleaning after a few years. You live in a small or traditional home. Fitting them for ducts won’t be worth it. Systems that are compatible with ducts include central air conditioners, furnaces, and heat pumps. With a heat pump, you’ll be able to use both heating and cooling features in the same unit. On the other hand, you have the ductless system. These systems are widely used in Europe and Japan, since they’re easily installed in smaller buildings that can’t accommodate ductwork. However, they’re growing in popularity in the US and are just as capable of heating and cooling entire homes. Heating and cooling. 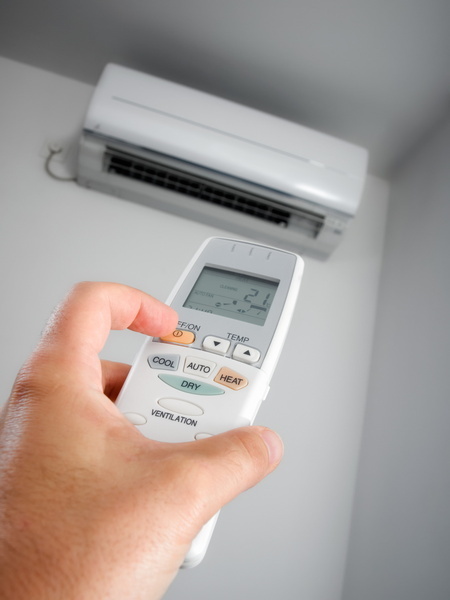 Ductless systems are heat pumps, meaning they’re capable of both heating and cooling functions. Efficiency. Eliminating the ductwork means nothing stands between the air handler and the room. Keeping you warm in the winter. The heating mode costs less to run than a gas furnace. You’re on a budget. Ductless heat pumps require a separate air handler for each room, and that cost is going to add up. Indoor air quality is a problem for you. Most IAQ products—such as humidity controllers and air purifiers—require a duct system to be effective whole-house solutions. You want to avoid more complex maintenance visits. Since these systems operate all year-round without a break, maintenance is especially important. With ductless systems, your only option is the ductless mini split system. Luckily, there are several brands available, so you can work with your Buford, GA HVAC contractor to find the one that works best for your needs and budget. To learn more about your HVAC options, contact American Comfort Heating and Cooling today. Bringing Comfort to America, One Home at a Time.